GPRSIM v3.0 (2016) is a 2D simulation software for predicting GPR radargrams across user drawn models. The software is being used as a training tool for students as well as for researchers in ground penetrating radar. 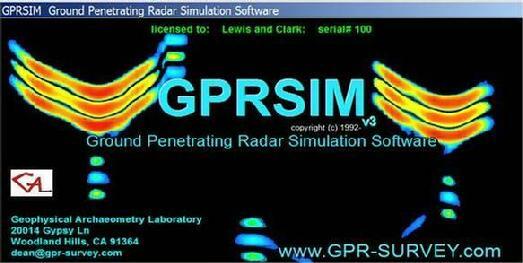 GPRSIM was the first commercial GPR simulation software and it has been underconstant development since 1990 and copyrighted in 1993. GPRSIM has complete drawing menu for synthetic model designs, importing and generating antenna impulse response functions and antenna beam directional response functions. A complete wavetype menu, migration processing menu, and customizable model display options are available.